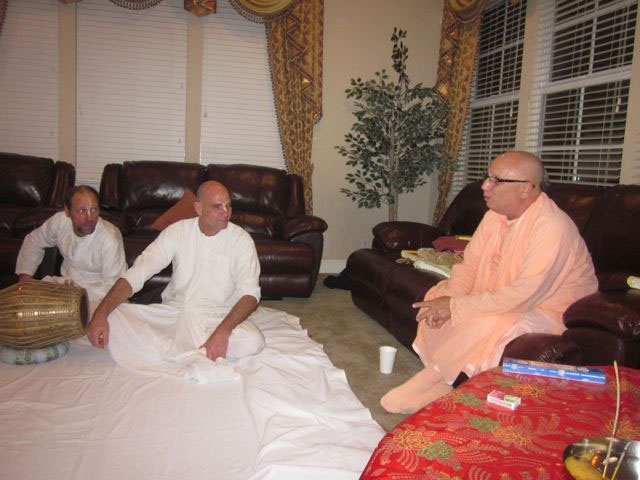 Hemant Prabhu has been helping our Seva Ashram for many years. 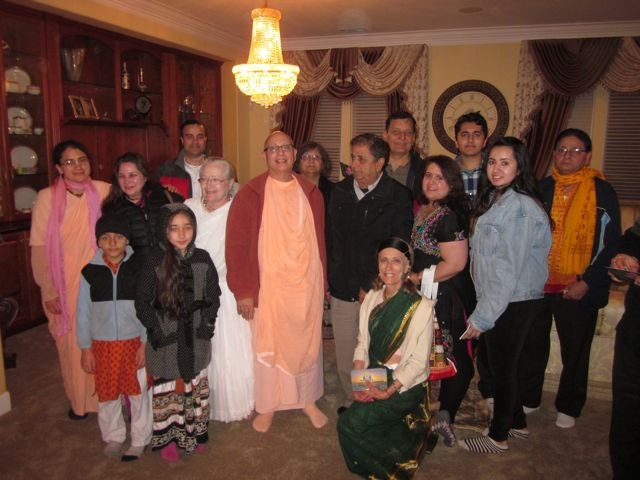 With Sureshwari Devi’s encouragement, he and his family invited Srila Janardan Maharaj and all the devotee to his home for an evening of Kirtan, Krishna Katha and Prasadam. 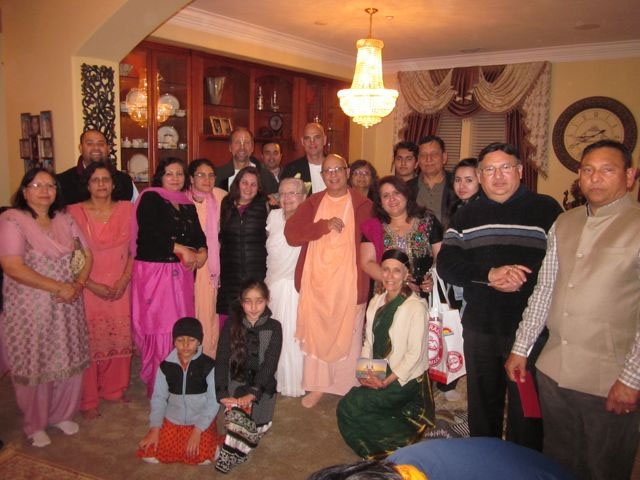 Srila Bhakti Pavan Janardan Maharaj, along with devotees, guests and relatives of Hemant Prabhu. Srila Janardan Maharaj leads a kirtan to start the program. 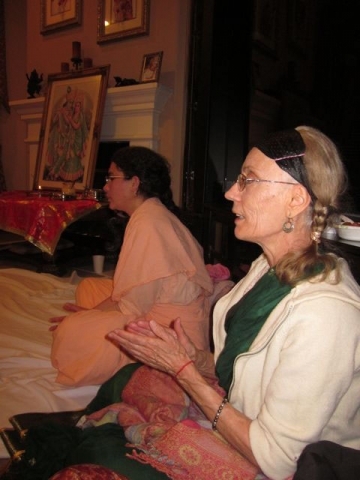 Bimala Devi and Vishakha Devi join in the chanting. 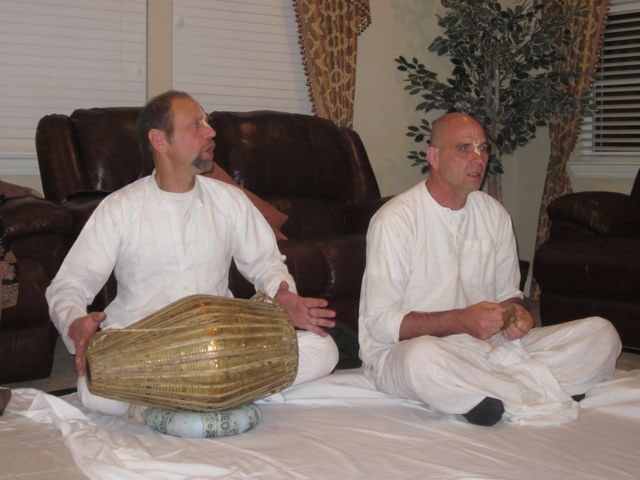 Pitambar Prabhu playing the kartals and Jayanta Krishna Prabhu playing the mridangham. 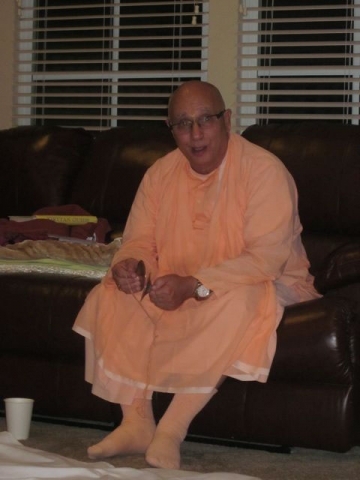 Srila Janardan Maharaj speaking to the assembled devotees and guests. 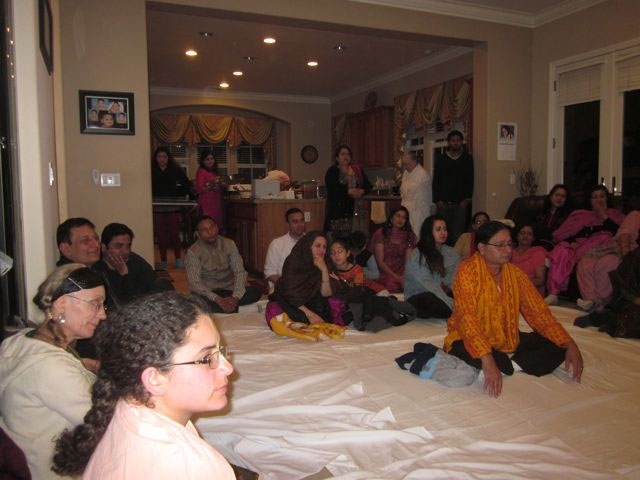 Many devotees and guests came to get the association of Srila Bhakti Pavan Janardan Maharaj. 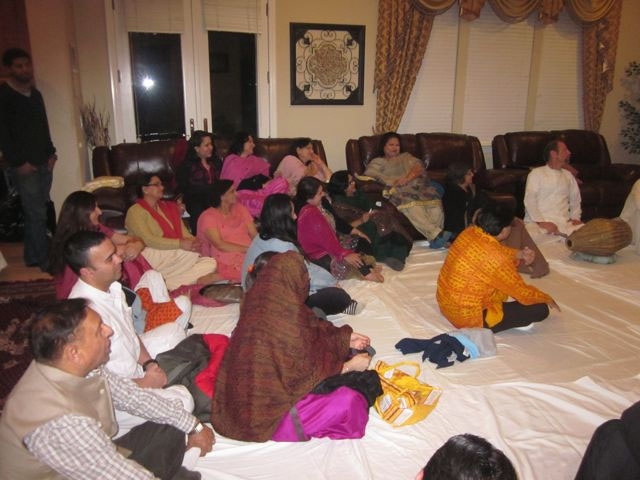 Everyone is enjoying the spiritual discourse of the evening. 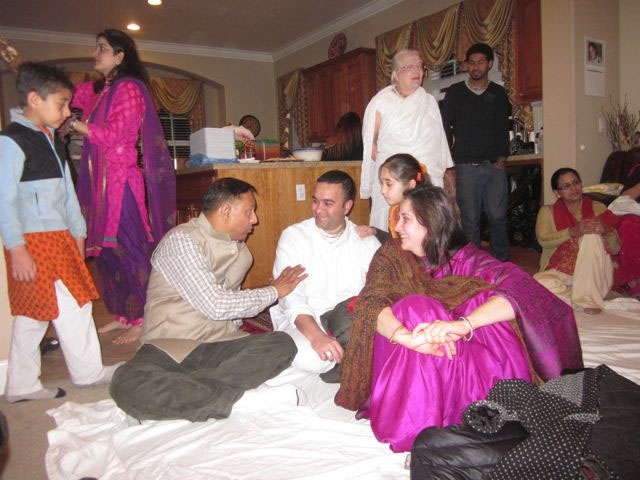 Jairam Prabhu along with his family, Abba Devi, Nabh Das and Kumari Lavanika. It was a very beautiful evening for all who attended.